I am also a bike rescue person. People rescue animals of various types so why not bikes? I have rescued several Raleigh Twenty bikes from the metal scrap bin. 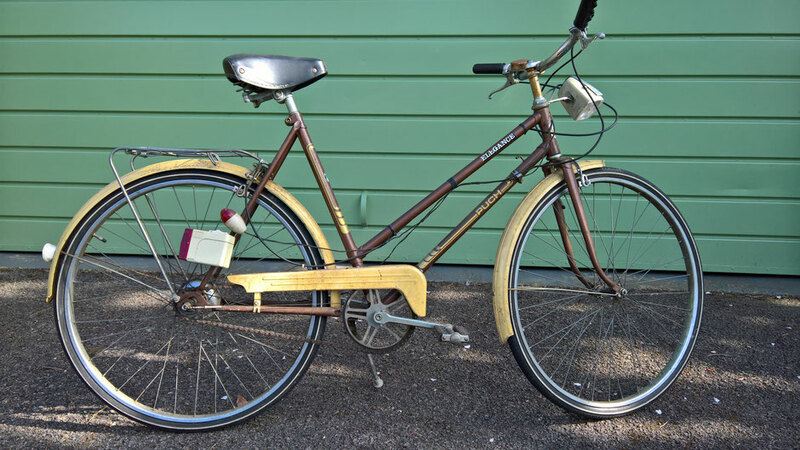 The most recent Raleigh rescue was given a new lease of life by a delighted young lady from Bristol. My latest rescue in question is a rather well made metallic brown and cream PUCH Elegance, it even sounds rather good “Elegance”. A classic ladies bike with three gears with a dynamo built in to power some lights, rather handy at night. Wikkipedia states that; the company was founded in 1899 by the industrialist Johann Puch and produced automobiles, bicycles, mopeds, and motorcycles. It was a subsidiary of the large Steyr-Daimler-Puch conglomerate.